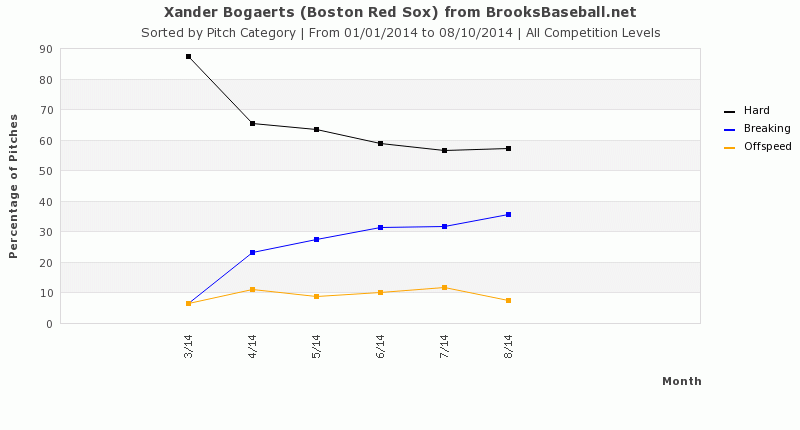 We hoped you liked reading Xander Bogaerts’ Rookie Struggles by Joe Clarkin! I should’ve addressed that in the article. Giancarlo Stanton hit .188 and slugged .320 his rookie year against breaking balls. Carlos Santana was .167/.208. 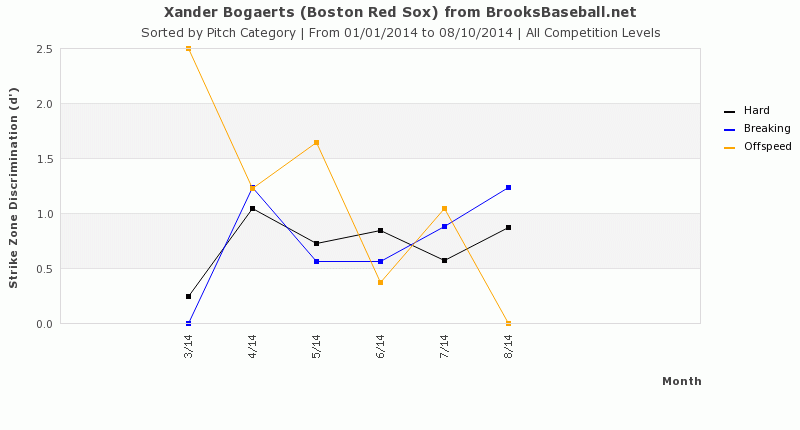 Bogaerts is definitely worse than those guys against breaking balls right now, but they’ve each gone on to be pretty good. There’s also more than that, but Pitchf/x only goes back so far, and I don’t have time to do a ton of research right now. Lars Anderson says hello. He’s still better than Teixeira. Bogeys going nutty right now! Whats changed I wonder? He’s gone looking like Jackie Bradley jnr, to Big Papi at the dish.